PUERTO VALLARTA, Mexico – 18th-ranked Baylor softball (3-2) closed out its first international tournament with a 6-1 rout of Liberty and a 8-2 loss to third-ranked Washington Sunday at the Puerto Vallarta College Challenge in Puerto Vallarta, Mexico. Baylor finished its time in Mexico with a 3-2 record, topping one top-10 opponent in its season opener on Thursday. The Lady Bears went down in order to start the contest, and Liberty threatened with bases loaded in the bottom of the first. However, three fly balls helped BU keep it a scoreless game. Baylor came right back and put up five runs on five hits in the top of the second inning for the 5-0 lead. Hannah Smith brought in Kassidy Krupit with a single up the middle, followed by RBIs from Josie Bower, Nicky Dawson and a Liberty error to make it a five-run lead. The Flames (1-4) answered in the bottom of the third with a single to second base, making it a 5-1 Baylor lead. Kassidy Krupit put the game away for good after she blasted her first collegiate home run over the right-center field wall for the 6-1 win. 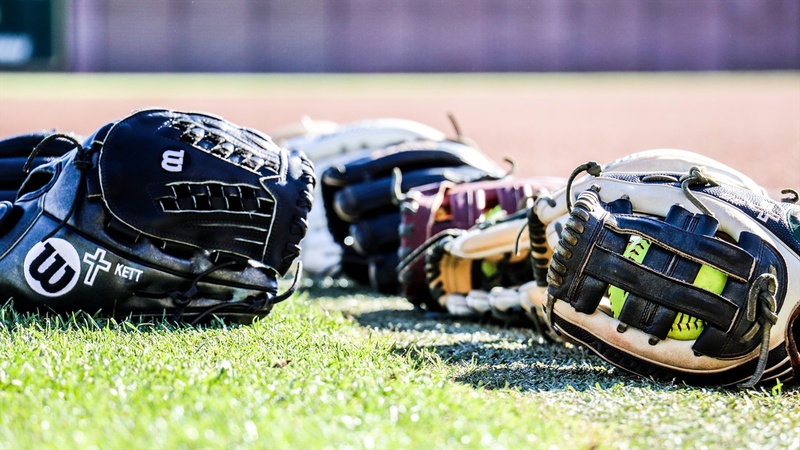 The Lady Bears and Huskies kept each other quiet for the first couple of innings before UW broke open a 3-0 lead in the top of the fourth inning. BU answered in the bottom of the fifth, plating two runs on two hits. A Hannah Smith doubled scored one run, and then Nicky Dawson scored an RBI by bringing in Maddison Kettler to make it a 3-2 game. UW (4-1) added on three runs in the top of the sixth and then used a two-run homer in the top of the seventh to ultimately take the win in Mexico, 8-2. • Baylor is 6-1 all-time against Liberty and has won six straight meetings. • Baylor moved to 2-4 all-time against Washington, including a 1-3 record at neutral sites. • Kassidy Krupit scored her first collegiate home run, finishing 3-for-6 at the plate on Sunday. • Sidney Holman had a season-high seven strikeouts against Washington. • Lou Gilbert had her first multi-hit game of her career against Washington, going 2-for-4. • Ana Watson finished the weekend with a team-leading .625 batting average, .750 slugging percentage and .625 on-base percentage. • Nicky Dawson led all players with 4 RBIs in Mexico. • Hannah Smith led all players with two doubles in Mexico. • Baylor finished its first international tournament with a 3-2 record. • Baylor is now 1-1 against ranked opponents in 2019, going 4-8 against ranked foes last season. • Baylor is 2-1 when scoring first in 2019. 3 – the amount of wins in the Lady Bears’ first international tournament in program history. The Lady Bears (3-2) head back to the United States and prepare to face UTSA in a road game Wednesday at 6 p.m. CT in San Antonio.